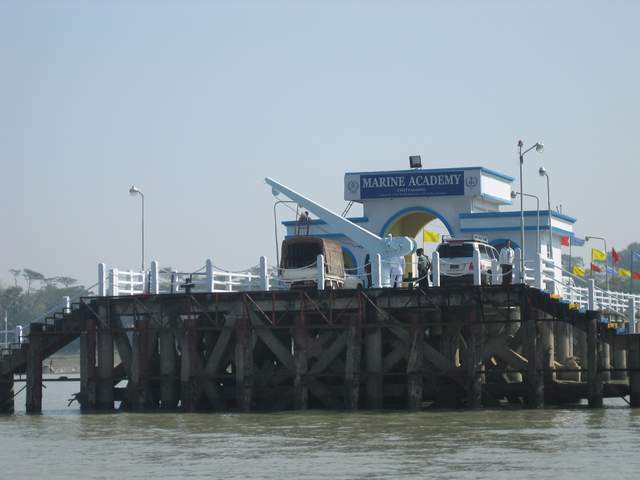 Marine Academy established at Chittagong during Pakistan period to train skilled manpower for the merchant ships. The government of Bangladesh took over the institution in 1971 and undertook various programs for its development. The Academy buildings were severely damaged by a cyclone in 1991. Its reconstruction was accompanied by its modernization with new equipment and jetties for training and other purposes. It has a ship handling and engine room simulator for imparting effective training. Graduates of the institution qualify for employment in the Bangladesh Shipping Corporation and in foreign shipping organizations. The academy follows the British standard curriculum and it is a recognized affiliate of the World Maritime University of Malmo. The Marine Department of Hong Kong also recognizes the degree awarded by the Academy. A graduate from the nautical branch of the Academy qualifies for employment as a deck cadet on a ship. Later, depending upon performance and openings, he becomes a fourth officer, third officer, second officer, and finally, a master (captain). Similarly, upon completion of his courses in the institution, an engineering cadet joins a ship as a cadet engineer and later, he may become a fifth engineer, fourth engineer, third engineer, second engineer, and finally, chief engineer. During the period between 1962 and 1999, about 1,833 cadets had graduated from the Academy. In the last decade, intake of cadets have increased over fivefold. Average intake of cadets is more than 200 now a days. In 2014, 235 cadets passed out of which 116 were from Nautical and 119 from engineering branch. With joblessness in the higher classes, this class may have to wait a few years before they can get an opportunity to join ships for their required sea-time. Republic of Bangladesh established Marine Fisheries Academy on a beautiful landscape on the southern bank of the river Karnaphuly, opposite to Sadarghat, Chittagong. Its geographical position is 22° 19.0′ N latitude, 91° 49.8′ E longitude and the campus is about 1 km from the city center. Marine Fisheries Academy is placed under the administrative control of the Ministry of Fisheries and Livestock and the command of the Academy is vested on the Principal. He/ she is responsible for supervising the activities with respect to conduct, discipline, education, training of the cadets and proper functioning of the Academy as a whole. To assist in proper functioning of the training activities the academy has three administrative organ namely Academic Council, Board of Studies, Board of Discipline. 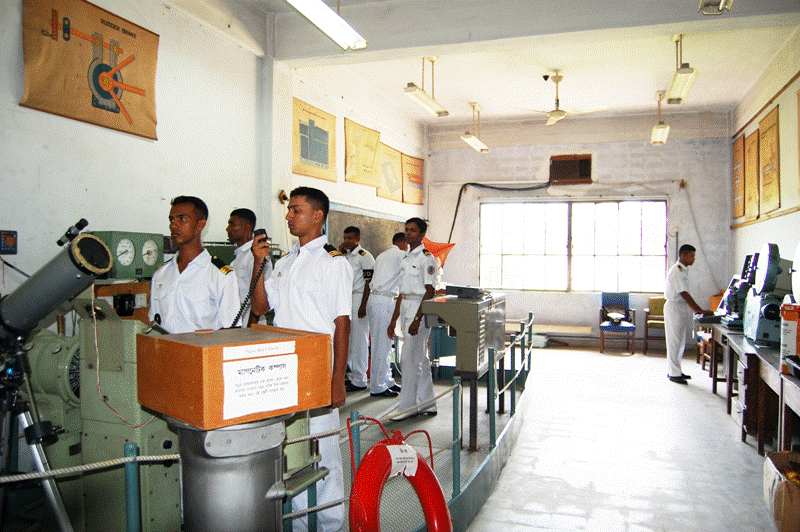 Since its journey, Bangladesh Marine Fisheries Academy holds the reputation of generating skillful Navigators, Marine Engineers and Fish Processing Technologists for both fishing sectors as well as commercial shipping lines. More than 1300 cadets have been passed out from the academy. Among them more than 600 cadets are holding the important appointments in several of commercial shipping lines in the world. The Academy was established in 1973 with technical assistance from former USSR to maintain proper and optimum management of sea fishes through developing expertise for Marine Fisheries. It is entrusted to train cadets skillful through modern techniques and equipment, in order to meet the challenges of millennium in shipping sectors. As the modern technology revolutionized the way of shipping, ships navigation, shipbuilding industries and other related marine industries to enhance safety and security, the training curriculum of the academy have been restructured to keep pace with the updated regulation promulgated by IMO through STCW-95 convention. The Academy encompasses smoking free, educational environments and facilities and imparts quality professional training. Our completion of three years training cadets of this academy are awarded with BSc in Nautical, BSc in Marine Engineering, BSc in Marine Fisheries from National University. We are committed to provide technology based quality education and training to the cadets to become world class Navigators, Marine Engineers, and Fish Processing Technologists. I hope that all concern marine managements will have glimpse of Marine Fisheries Academy through this website. To be a seaworthy/sea faring talent and to achieve officer like qualities to command operate and maintain the fishing vessel with confidence and ability. To attain a sense of respect to the profession, devotion to duty, honesty, loyalty and punctuality through proper guidance and disciplinary training. To develop knowledge on communication(R/T and visual) and to develop their ability for independent work of any kind connected with his profession and specialty. To apply the knowledge to obtain maximum sustainable yield and to reduce the post-harvest losses of marine resources. To achieve the ability to identify any problem in their relevant field and select appropriate methods within the framework of scientific, technical and management consideration. To gain an in depth and advanced knowledge in their respective field corresponding to reality by which the cadet will encounter afterwards on board a vessel. On completion of three years training in the academy qualified cadets are awarded with BSc (pass) degree from National University and they officially complete their training through a colorful ceremony is called “Passing out Parade” which is normally held with the presence of Minister of Fisheries & Livestock. This is the most vibrant event in the Academy campus and for which the cadets keep on waiting. During the passing out parade all the cadets of the academy carryout march-past like the cadets of the Armed Forces Training Academy and show the mark of respect to the Chief Guest, Distinguished Guests, Parents etc. Cadets take oath to serve at sea with appropriate sincere effort. So, with an internationally accepted Pre-sea training certificate and a graduation from the National University the vast ocean and sea-door becomes open to them. The Academy Marine Workshop and Engine room simulator provides Training to the cadets The Marine workshop And Metal workshop is having all the machinery, equipment, tools etc. for the training. Standard marine plants are normally been demonstrated in the Engine room simulator. Workshop’s Instructors and staff comprising of Engineers, Foreman, Mechanics, and Fitters etc. are responsible for the training and for maintenance and repairing different machinery and equipment including all the land and water transports of the Academy. 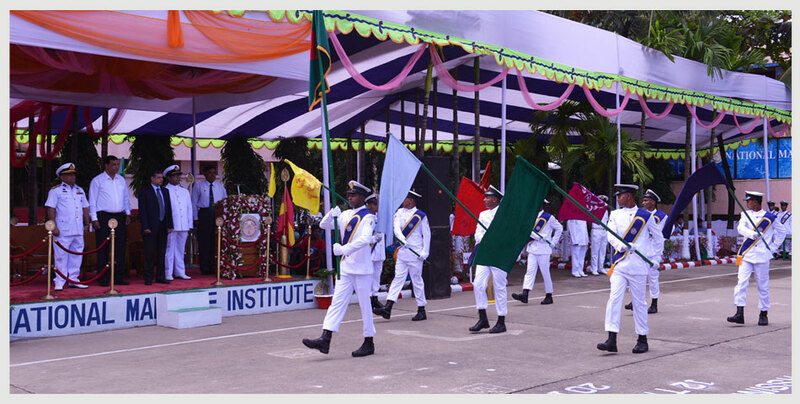 National Maritime Institute (NMI) was initially started as a small institute at Goshaildanga, Chittagong in the year 1952. Now it is one of the most modern & IMO white listed Institute in the region. 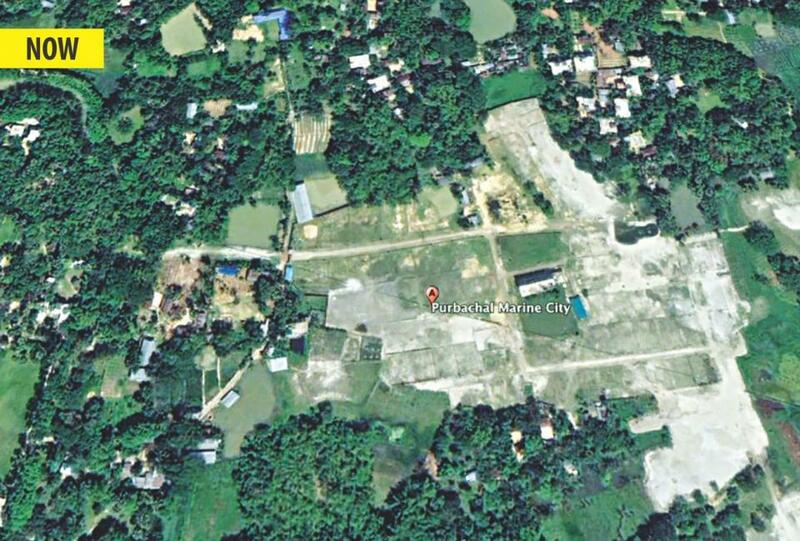 Now it is occupying a large area along with modern Training Blocks etc. 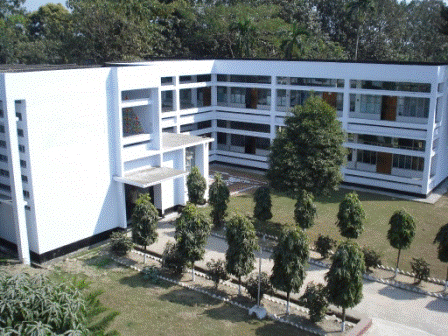 at south Halishahar, Chittagong, where the Institute has permanently established on 4th December, 1989. National Maritime Institute is a well-secured and beautiful place for Seafarer’s Training Facilitated Campus. NMI has its own Parade Ground, Training Pond, Lifeboat-launching platform, Diving Stage, Engine & Deck Model rooms, volley ball ground, firefighting house etc. The Institute provides well-equipped practical and theoretical Classroom, First-aid Class, Fire-Fighting house, Galley/Pantry; Electro-navigation, Lifeboat, Computer lab, Swimming pond, Seamanship Gears etc. The campus also contains housing facilities for Principal, Instructors and Staffs. Besides those, there is a Seamen’s Hostel for both in-service and trainee seafarers. It is located in between Chittagong Export Processing Zone (CEPZ) and Multi-Purpose Berth (MPB) Jetty, beside the main road linking to Shah Amanat (R.) International Airport, Chittagong. The institute is 10km. away from Chittagong Railway Station and 06 km form the International Airport. The city can be reached from the Capital City Dhaka by Air, Rail and Road, Bus, Mini Bus, Rent-A-Car, Auto-Rickshaw etc. The NMI Campus can be reached from around the city at a reasonable fare. NMI presently conducting Pre-Sea courses on two main academic disciplines, i.e. Under the Supervision of Nautical Department there are another two sub-departments, i.e. 1. Personal Survival Technique (PST). 2. Personal Safety and Social Responsibilities (PSSR). 3. Certificate of proficiency in Survival Craft & Rescue Boat (CPSC & RB). 5. Fire Prevention & Fire Fighting (FP&FF). 7. Tanker Safety & Familiarization Course. 8. Oil &Chemical Tanker Safety & Familiarization Course. 9. Global Maritime Distress & Safety System (GMDSS) Course. 10. Special Cook Rating Course. 11. Familiarization Course on STCW, ISPS & ISM code. 12. Oil, Gas & Chemical Tanker Simulator Course. 14. Basic Computer Operating Course. The Institute has a plan to introduce various shipping safety related courses in future as per international standard, i.e. in conformity with STCW 78/95/2010 convention and other courses as demanded by shipping industry/shipping companies. The NMI has hostel facilities for both Pre-Sea and Post Sea Rating Seafarers. The Hostel has the capacity to accommodate 120 trainees at a very reasonable cost. Apart from this, there are some hotels available near the NMI campus where one can reside at a cost around US$ 5 to 10 per day. There is an outdoor dispensary inside the NMI Campus. All Trainee Seafarers and local people can avail Medial treatment facilities with nominal charges/ free of cost. Qualified MBBS Doctors are appointed to provide initial medical treatment. However, major medical facilities are available in private and governments clinics/hospitals with their own expense. Training pond: Lifeboat, Rescue Boat, Rowing Boat, Jetty Davit, Diving Stage etc. Deck Model Room: Navigational Aids/ Instruments, Steering Simulator, Deck Machinery, Cargo Gears, Ships Model. Fridge Room: 3 large ship’s type cold chambers & provisions fridge rooms with cooling plant for frozen food. Workshop: Equipped with generators, lathe machine, welding machines, universal machine, drill machine, grinder and marine type switch penal etc. for demonstration. Seamanship floor: Equipped with an actual sized compete Ship’s Derrick and Seamanship items for practical demonstration. Training Galley & Tasting Room: Oven, Dishwasher, Blender, Sink, Burner, Toaster, Juicer, Fridge, Cutlery & Crockery items etc. for training of cook & steward ratings and special course. Parade Ground: There is a 50 m long and 45 m width Parade Ground, which is used for Physical Training & Regimental parade drills of the Trainee Seafarers. Fire House: Equipped with fire simulator, Fire pump and extinguishers for firefighting class. Oil, Gas & Chemical Tanker Simulator: Equipped with Modern Maritime Training facilities as per IMO requirements. Steering/Bridge Simulator: Established for the Rating’s basic computer training, which is most essential for Simulator Training. Miscellaneous: NMI has reasonable collections of professional Books, Periodicals, Audio-Video & other educational aids including overhead projectors, VCR, TV and a good number of wall charts, educational posters, multimedia LCD projectors, UPS APC 1000 VA, Sp scan jet 3970, Computer Table, Split Air Conditioner, Digital Handy Scan, Laptop Computer, Personal Computer etc. for Training and smooth function of the Institute. MoU Signed between Dhaka University (DU) and Bangabandhu Sheikh Mujibur Rahman Maritime University (BSMRMU). Treasurer of DU Prof. Dr. Md. Kamal Uddin and Treasurer of BSMRMU Commodore A N M Rezaul Haque signing MoU at the Vice-Chancellor’s office of DU on behalf of their respective organizations. 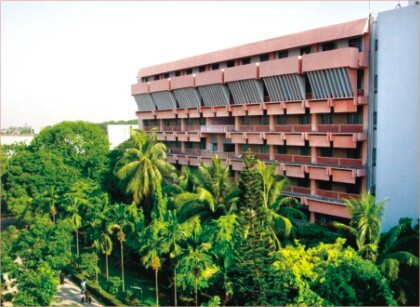 Bangabandhu Sheikh Mujibur Rahman Maritime University, Bangladesh, the first Maritime University of the country was established by an Act of the Parliament on 26 October 2013. Upon enactment, the Honorable President and the Chancellor of the University had kindly appointed Rear Admiral A S M Abdul Baten, ndc, psc, as Vice Chancellor; and other two Bangladesh Navy officers as the Registrar and Treasurer of the University. Bangladesh Navy appointed few more officers to assist for the establishment of the University and few professional officers were recruited. On 30 January 2014, the Vice Chancellor along with Registrar and the Treasurer called on the Honorable President and the Chancellor to seek guidance as well as to apprise about the primary activities and work proposal. Meanwhile a Committee was formed by the University Grants Commission (UGC) headed by Professor Dr. Abul Hashem, Member UGC to ascertain the infrastructure, academic curriculum and the suitable site for the University. On 11 March 2014, the committee visited World Maritime University (WMU), Sweden and the Maritime faculty of Istanbul Technical University, Turkey. A Memorandum of Understanding (MoU) was also signed between WMU and this University for providing due assistance for the academic curriculum. As being the specialized university, it would have dual role of running higher level courses for students as well as regulate the affiliated institutions like marine and fisheries academies and other maritime training institutions of the country. The university would conduct both graduate and post graduate courses on various maritime fields. At present the university is just at the formative stage. However, endeavors are on to open courses by next academic session at hired campus on subjects related to Port/Shipping Management, Logistics/Engineering Management. Upon having permanent campus graduate programs on specialized fields will be opened. Within short period the university will take its complete shape and be the center of excellence for higher maritime education. LLM in Maritime Law (64 credits; 18 months duration full time). MBA in Port and Shipping management (60 credits – 2 years duration; fulltime). The department of Naval Architecture and Marine Engineer started its journey at BUET since 1971. The department is enriched with a group of high quality faculty members having Ph.D. degrees from abroad. The department offers both undergraduate and post graduate degrees in the field of Marine Engineering and Naval Architecture. The undergraduate program started in 1971 and the postgraduate program started in 1988. Undergraduate students seeking the degree (B.Sc. Engineering in Naval Architecture and Marine) must complete a series of subjects in four year program. In addition to the undergraduate course, there are post graduate programs available. The mission of the department is to provide an international standard education in naval architecture and marine engineering by:Providing a challenging academic environment and inspiring intellectual and artistic curiosity and creativity. Providing high-quality undergraduate and postgraduate degree programs that prepare students for professional naval architecture and marine engineering careers in industry, academia, and Government, non-government regulatory body. Developing and maintaining internationally recognized research programs in selected areas of naval architecture and marine engineering. Actively serving the profession and the community in the areas of expertise. Enhancing professional development of academic and support personnel of the department by visits, workshops, seminar, conference and training and updating knowledge. Building up a strong academic network with other national and international Universities & research organizations and promoting collaboration with local industries for their development. Establishing a positive and productive working environment for the community, which values the individual; supports teamwork and cooperation; requires honesty, integrity and civility; and inspires enthusiasm and innovation. The Department of Naval Architecture and Marine Engineering (NAME) is the only department of its kind in Bangladesh which provide education and research on ship building technology. The department is enriched with a group of highly qualified teaching staffs who have had their education and training from various renowned institutions over the globe. Most of these faculty members have M.Sc. and Ph.D. degree in various fields related to marine hydrodynamics, marine transportation design and planning, ship safety and economic ship building, dynamics of offshore structure, ship vibration, resistance and propulsion, sea-keeping performance, ship structure, ship stability, ship accident investigation, ship recycling, port & harbor engineering, mooring analysis, dredging, Life Cycle Assessment etc. The primary responsibility of the department is to provide world-class education in naval architecture and marine engineering. In addition to this, the department provides its expert services in advisory, consultancy, research and testing to individuals, corporates, industries as well as various forms of national and international interests through Bureau of Research, Testing and Consultation (BRTC), BUET. The department also offers short courses to public and/or private organizations on demand. ‘Design of four different types of Coastal Vessels (Class) for the Govt. of Mozambique’ rendered to Ananda Shipyard and Slipways Ltd., Bangladesh, 2006. Design and Drawing of 1(one) no. Lloyds Class 30 Meter Pilot Vessel rendered to Dhaka Dockyard and Engineering Works, Dhaka, Bangladesh (2003). (Vide BRTC no. 0648/02-03/N.A.M.E. dated 4/8/2002 and BRTC letter dated 31 May, 2003). Speed Power Calculation of 500 Ton Self Propelled Water Barge rendered to Mongla Port Authority, Bangladesh & Karnaphuli Slipway (Dockyard) and Marine Workshop (Pvt) Ltd., Chittagong, Bangladesh in November, 2002. (Vide BRTC no. 2274/02-03/N.A.M.E. dated 25/11/2002). 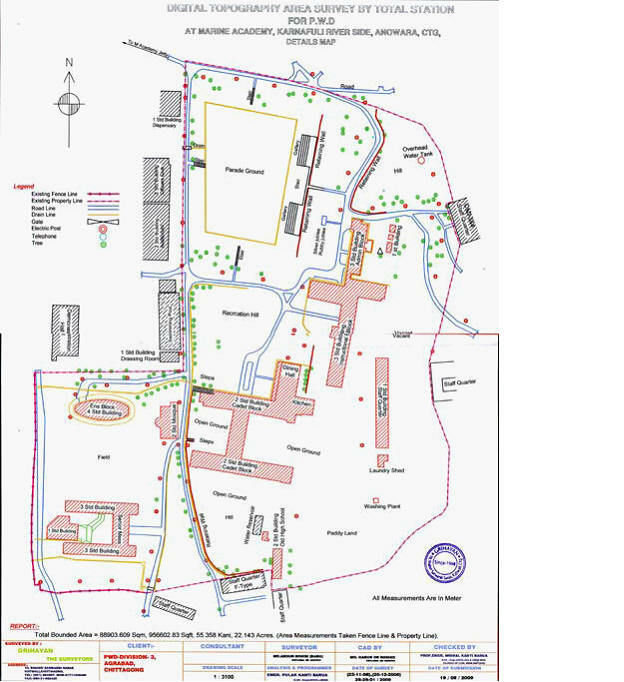 Survey of Repair Works of Mary Anderson done by Dockyard & Engineering Works Ltd., rendered to Bangladesh Parjatan Corporation in 2002 (vide BRTC no. 2054/74 (N.A.M.E.) dated 23/10/2002 and BRTC letter no. 16/02-03 dated 1/10/2002). Consultancy Services for Various Strength Calculation of a Coastal Vessel MV Abu Bakr for Dockyard & Engineering Works Ltd., Narayanganj, Bangladesh in June, 2002. (Vide BRTC no. 6018/01-02/NAME dated 8/6/2002 and GL letter dated 18/3/2003). Procurement of a Passenger Ferry (Sea Truck) for Char Development and Settlement Project- II for Bangladesh Water Development Board, Dhaka (2001). (BRTC No. 375/00-01). Assessment of M.T. Jamuna” for Jamuna Oil Company Ltd., Chittagong, Bangladesh (2001). Hydrostatic Table, Stability calculation with maximum allowable inclining angle of BNS TISTA for Khulna Shipyard Ltd., Bangladesh Navy, Khulna (2001). (Vide BRTC No. 05/01-02). Technical Consultancy/Assistance for selection of suitable propulsion Machineries for M. T. Jamuna, an Oil Tanker for Jamuna Oil Company Ltd., Chittagong, Bangladesh (2000). (BRTC no. 1992/00-01/NAME dated 30/10/2000). Development of Cost Effective Standard Designs for Mechanized Country boats for plying in the inland waters of Bangladesh” under the financial assistance of Danish International Development Agency for Munna Enterprise, Dhaka, Bangladesh.(1997-98). Calculation of Bollard Pulls in two different mooring situations at Chittagong Urea Fertilizer Limited (CUFL) jetty at Chittagong”, for SCANCEM Ltd., Bangladesh, August 1998. Techno-Economic Evaluation for Rehabilitation of three passenger Vessels PS GAZI, PS KIWI and PS TERN of BlWTC for Bangladesh Inland Water Transport Corporation (1997). (Ref. BRTC 3770/96-97/NAME dated 06/07/97). Design and Drawings of Pontoon for Bangladesh Coast Guard” for Bangladesh Fisheries Development Corporation (BFDC). (Ref. BRTC 3586/96-97/NAME, dated 16/6/97 and BFDC letter dated 29/8/96, 4/12/96 and BUET endorsement dated 10/12/96 and BUET letter dated 12 December, 1996 and 17 January, 1997). Quantitative Survey of Construction and Supply of 3 nos Accommodation Barges for Ananda Builders Ltd., Bangladesh (Ref. BRTC no. 2288/96-97/NAME dated 19/12/96) (1996) and One Unit Hydrographic Survey Work boat for BIWTA under IWT-Ill Project, IDA credit no.-2232 BD” for Ananda Builders Ltd., Bangladesh. (Ref. BRTC no. 0416/97-98/NAME dated 27/7/97 and Head, NAME endorsement dated 24/9/97). Quantitative Survey of Construction and Supply of One unit of 250 no. of Steel Floaters for Bangladesh Water Development Board (BWDB), for Ananda Builders Ltd., Bangladesh January’98 (1998) and 1 no. of 48 ft. Small Pontoon of first phase of 30 no. Pontoons of Inland Pontoon facilities” for Ananda Builders Ltd., Bangladesh (1998). Certification of Capacity of Slipway of KBBIC Shipyard Ltd.” for KBBIC Shipyard Ltd., Chittagong, Bangladesh (1996). (Vide KBBIC letter dated 28/5/96 and 25/6/96). Certification of Capacity of the Slipway of Dhaka Dockyard and Engineering Works Ltd” for Dhaka Dockyard and Engineering Works Ltd., Dhaka, Bangladesh (1995). Design and drawings of wooden mechanized Boats for coastal circles under the Forest Resource Management Project for Divisional Forest Office (DFO), Bhola (1995). Design, Construction, Supervision and Installation of landing stage for Rural Infrastructural Development under LGED for Local Government Engineering Dept., Netrokona, Government of Bangladesh, under Netrokona Integrated Agricultural Production and Water Management project. (1995). Rationalization of Freight structure and Schedule of Rates for transportation of public sector food grains and other foodstuffs by Marine Transports for the International Food Policy Research Institute (IFPRI), U.S.A. (1994). Defining Transom Height of Outboard Engine for Bangladesh Water Development Board, (1993). (Vide BRTC No. 938/93-94/NAME dated 20/9/1993). Review and Evaluation of bid offers through International bidding for Procurement of one Buoy Tender Vessel for Bangladesh Inland Water Transport Authority (November, 1992) (vide BRTC no.1467/92-93 dated 22/11/1992). Preparation of PPs (Project Proformas) for the Investment Projects on Rehabilitation of Selected BIWTC vessels (1991) (vide BIWTC letter no. PC-451/89 (Khanda-2)/943 dated 10/8/91 and approval of Head, N.A.M.E. dated 12/8/91), Procurement of Miscellaneous Equipment and Development of Infrastructural Facilities for BIWTC (1991-92). (Vide BIWTC letter no. PC-451/89 (Khanda-2)/947 dated 10/8/91 and approval of Head, NAME, dated 12/8/91), Procurement of two Coastal Vessels for Chittagong -Barisal Route for BIWTC” financed under IDA Credit, (1990, 1991-92), Procurement/construction of four additional Roll on Roll off Ferries (1992) (vide BIWTC letter no. PC-451/89 (Khanda-2)/253 dated 20/3/92 & Head, NAME approval dated 21/3/92) and Procurement of two Coastal Passenger Vessels for operation in Chittagong-Barisal Route (1992). Preparation of Technical Assistance Project Proforma (TAPP) for the “Technical Assistance projects on Management Consultancy Services” for BIWTC (1990) and Techno-economic and Financial feasibility of alternative Container Vessels suitable for the Proposed Dhaka-Narayaganj Container Terminal” for BIWTC (1992). (Vide BIWTC letter no. PC-451/89 (Khanda-2)/947 dated 10/8/1991, approval of Head, NAME dated 12/8/1991, BUET letter dated 23rd March, 1992, BIWTC letter no. PC-451/89 (Khanda-2)/235 dated 10/03/1992 and Head, N.A.M.E. approval dated 21/03/1992). Procurement of two new Coastal Vehicular Ferries for Bhola-Lakhipur route (1990). Procurement of two new Inland Passenger Vessels for Dhaka-Bhola route (1990). Procurement of two new Coastal Passenger Vessels for Chittagong-Kutubdia route (1990). Procurement of two new Coastal Passenger Vessels for Kumira-Guptachara route (1990). Procurement of two new Coastal Passenger Vessels for Chittagong-Barisal route (1990). (Vide BIWTC letter no. 451/89/Khanda-2)/7294 dated 4/11/90, Head, N.A.M.E endorsement dated 12/11/90, BIWTC letter no. PC-451/89 (Khanda-3)/276 dated 24/5/1992 and Head, N.A.M.E approval dated 27/5/1992). Design and Construction of a Slipway for Bangladesh Institute of Marine Technology, Narayanganj” for Public Works Department (PWD), Govt. of the People’s Republic of Bangladesh (1990-91). (Vide BUET Letter dated 24/2/1991). Management Consultancy Services for BIWTC (1990-91). Rehabilitation of Selected BIWTC vessels (1990). Procurement of Miscellaneous Equipment and Development of infrastructural Facilities for BIWTC (1990). Procurement of two Coastal Vessels for Chittagong -Barisal Route for BlWTC (1990). Procurement of three new Inland Passenger Vessels by replacing the existing old and worn out fleet operating in Dhaka-Khulna route for BIWTC (1992). (Vide BIWTC letter no. PC-451/189/Khanda-2/271 dated 24/5/1992, Head, N.A.M.E approval dated 27/5/1992, Ref: PC-451/89/7222 dated 14/11/1990 and Head, N.A.M.E., approval dated 14/10/1990). Preparation of Project Proforma (PP)/Technical Assistance Project Proforma (TAPP) of IWT-3 Project for BIWTC (1990-1991) (vide BIWTC letter no. PC-451-89 (Khanda-2)/184 dated 31/12/1991, BRTC 141/91-92 dated 21/12/1991 and Head, NAME approval dated 28/12/1991). Design for Conversion of Aluminum Boat M-4 for Commandant, Base Workshop, Electrical and Mechanical Engineering (EME), Dhaka Cantonment, Bangladesh Army (1989). (Vide EME’s acknowledgement dated 12/9/1989 and other documents). Preparation of the following project documents for Bangladesh Inland Water Transport Corporation (BIWTC) submitted to BIWTC for submission to World Bank on 5/3/1989. (vide BIWTC letter dated 23/11/1988 & BRTC no. 2467/88-89 dated 5/6/1989 etc., Head, NAME letter dated 25/2/1989 and various letters of BUET & BIWTC dated 11/2/89, 25/2/89, 22/4/89, 3/6/89, 5/6/89, 11/6/89, 27/6/89, 10/7/89, 2/9/89, 20/9/89, 25/9/89, 13/11/90, 23/11/89, etc.). Passenger Vessels for main trunk routes. Passenger Vessels for Coastal belts and islands. Passenger Vessels for Feeder Transit Routes. Cargo Coasters for carrying dry cargo. Tugs for towing BIWTC Dumb barges. Very fast moving shallow draft Passenger Ferries. Vessels for carrying materials for proposed Jamuna Bridge Project. Crafts for flood emergency and inspection. BMRE of BIWTC vessels for improving its operational capacity. Study of the Possible Improvement of the Design of Existing Ro Ro Ferries for BIWTC, June, 1989. (Vide BRTC no. 2467/88-89 dated 5/6/1989 & Head, NAME letter dated 8/2/89). Preparation of PP on Rectification of defects of three Dieselized Passenger Vessel for Bangladesh Inland Water Transport Corporation (BIWTC) (1989). (Vide Head, NAME endorsement dated 3/6/1989 and Bureau of Research Testing & Consultation (BRTC), BUET, no. 2467/88-89 dated 5/6/1989 and Head, NAME letter dated 25/2/1989). Procurement of Steel boats for UNICEF (1989-90). (Vide UNICEF letter BD-S (SCF/1115-1)-686 dated 19 July, 1988 and KHC letter dated 30th July, 1988 and October 31, 1988). Standard Design of Mechanized Wooden Country boats” and “Standard Design of Mechanized Wooden Fishing Boats” for Farmland Traders Ltd., Bangladesh (1988-89). (As per various documents including agreement between BUET & Farmland Traders Ltd., dated 5 April, 1988). Supervising the Construction of Upazila Ferries and Pontoons” for Roads and Highways (R&H), Bangladesh (1987-89). (As per various letters and documents including letter of Head, NAME, BUET dated 27th Dec, 1987 and 12 Sept, 1988 and R&H Minutes of the Meeting held on 23/3/1988 and R&H letter dated 21/5/1988). Technical and Financial Feasibility study of Crash Program Passenger Vessels and Deep Sea Trawlers for Bangladesh Shilpa Rin Sangstha (BSRS) (Bangladesh Industrial Credit Organization) (1984-85). (Vide various documents and Head, NAME, authentication dated 9/8/1984). Technical and Financial Feasibility study of the conversion of 18 Inland Passenger Vessels under Crash program for Bangladesh Shilpa Bank (BSB) (1983-84). (Vide Head, NAME authentication dated 9/8/1984). Design and construction of Inspection Launches, Patrol Crafts for Bangladesh Police, Bangladesh Army, Bangladesh Navy and Port Authorities and also 500 Ton self-propelled water barge, 40’ Patrol Boat, 87’ Patrol Craft, 65’ Inspection Launch, 35’ Work Boat and 75’ Seagoing Launch during service at DEW Ltd., Narayanganj, Bangladesh in 1976-77. (Vide GM, DEW’s certificate dated 12/8/1984). Khan Brothers Ship Building Ltd.
DESH Shipbuilding & Engineering Ltd.
Radiant Marine Design & Services Ltd.
RUPAYAN SHIPBUILDING AND ENGINEERING LTD.